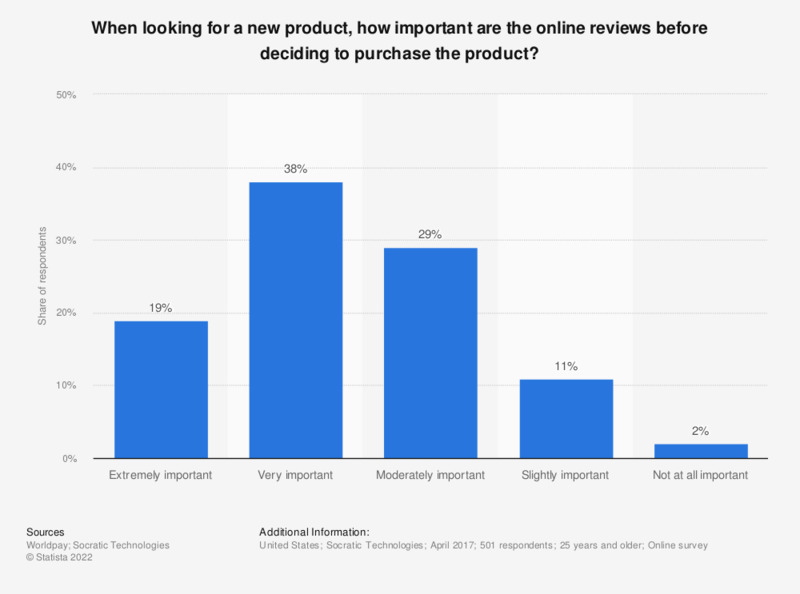 The statistic presents information on the importance of online reviews before deciding to purchasing a new product according to consumers in the United States. During the April 2017 survey, 38 percent of respondents stated that online reviews were very important before making a purchase decision. How many reviews are read before buying a product from each sector?